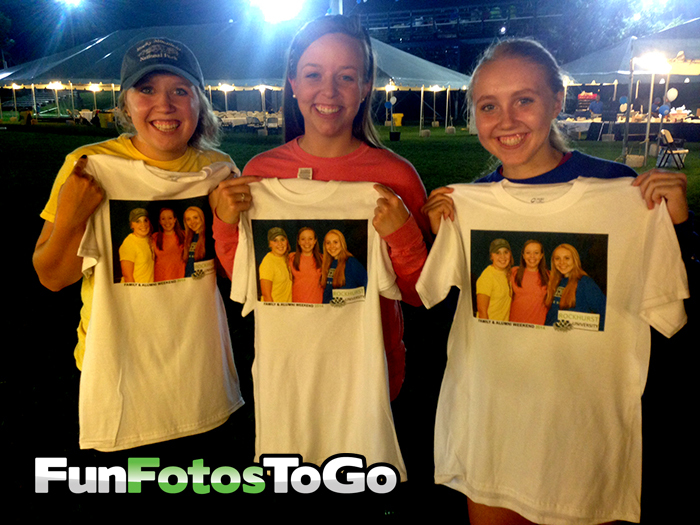 Your Photo on a Tshirt - While you wait! 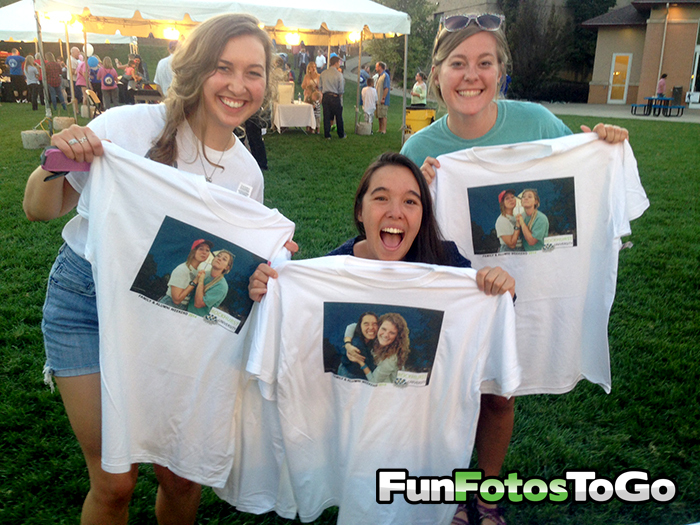 GET YOUR EVENT REMEMBERED FOREVER - PUT YOUR GUESTS ON A T-SHIRT! 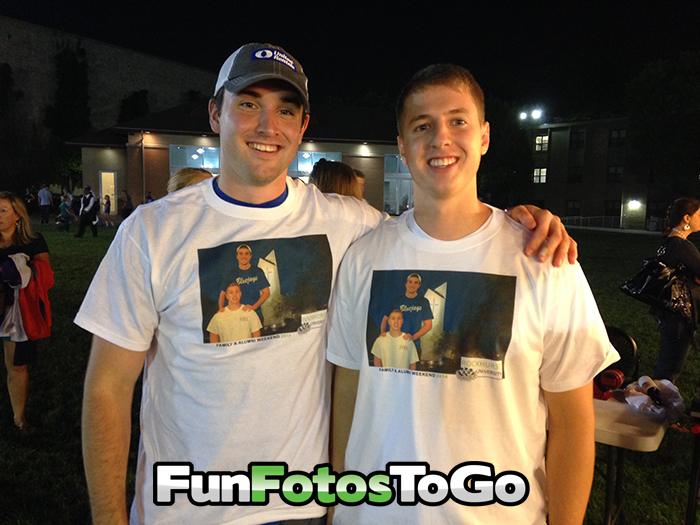 We can customize photos, logos or just about anything you want. We set up options in advance so production is quick and professional. 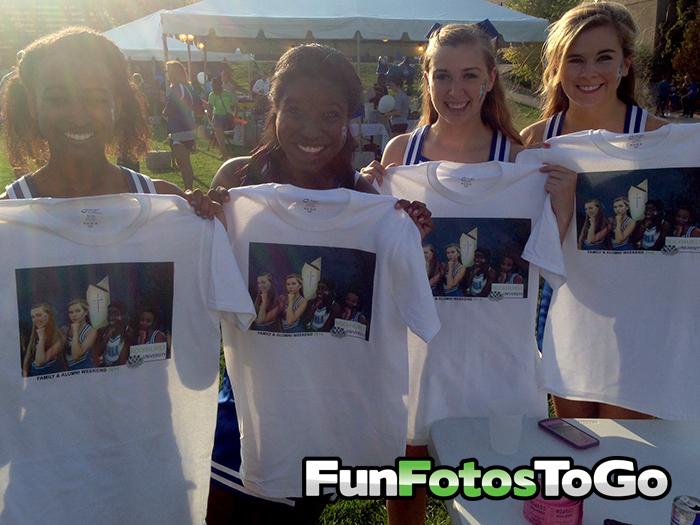 Add your company or school logo, school landmarks, mascots, slogan and/or event information - all included at no additional charge. 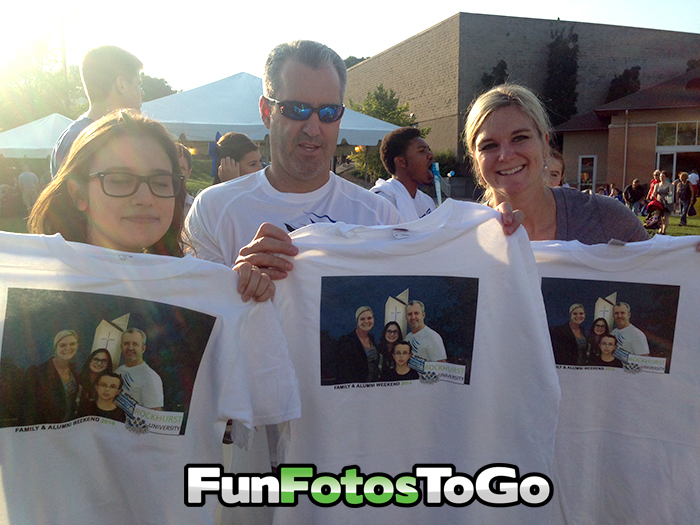 Photo T-Shirts put your guests into any scene imaginable! 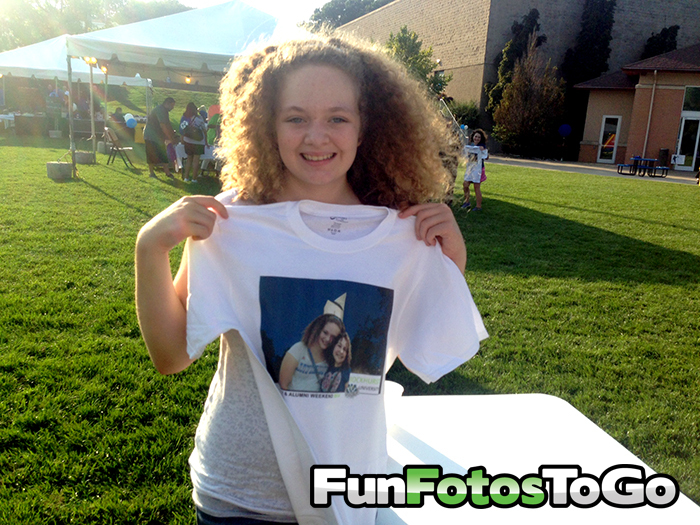 Want to order an individual Photo T-Shirt?